When I first learn of the cross-games war, we were deciding the next area we want to make. For a long time I wanted to do a mall for the out of place shops like daily shop and have quests. It was pointed out we had a mall already for Super Death. Super Death can warp reality, so same location but different time and dimension. Even though we only a week to build the mall and cutscene, things actually went smoothly thx to coding powers of Dumoose. Yergen made the monsters while the art team made some really cool items. But I did not just want make a mall, but test some new ideas to make the game more unique from other AE games. When you run around or fly in the front the Super City Mall you will notice the sky stays in place this helps to create more dept to the game. Smashables are hit *pun intended! * and we will be creating more of those over time. While the mall gets retro fitted with upcoming quests and new monsters (yes all NEW monsters) and new underground parking zones expect Pumpcon to return once again. Parking zones? Yes the mall will be opening two extra areas "underground parking zones" these are for the same monster that will seen throughout the mall but these monsters will be at different levels. Mall will be level 1-10, Parking-A levels 11-20 and Parking-B 21+. 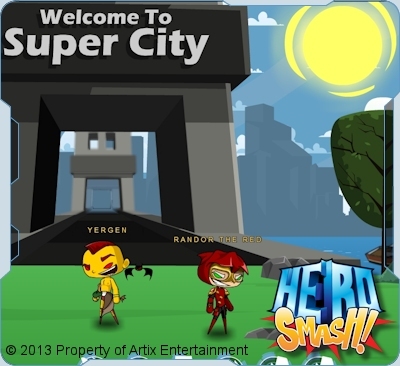 Now we have phonebooths and smashables but still one last piece of the puzzle to fix is the map of Super City. Right now locations are bit confusing as to where they are to each other. I currently working on building a proper city map and all goes well be new HALdroid map which is another thing we wish to fix. 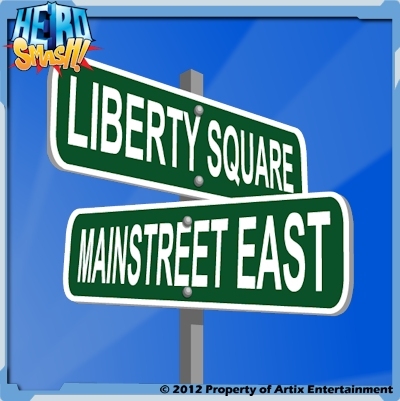 Once city map is done older game maps will be redone over time as we work our way out of beta. 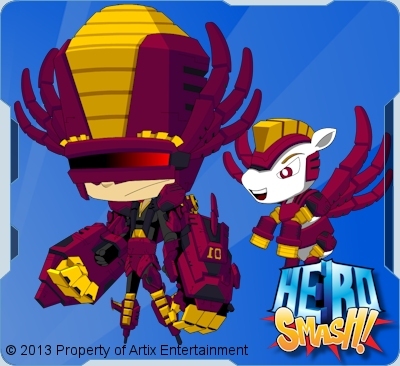 Ok as for the war itself... WOW you put the smash in HeroSmash! Yes we had lower number of monsters that was due to lower amount of players at the time we setup the war meter. We were expecting a few days to handle 10,000 monsters but you wiped 20,000 off the map in an hour! Its a crazy feeling of working many longs hours to build a map only to see it done in no time at all. It brought a tear to my eye, the proudest in my life. 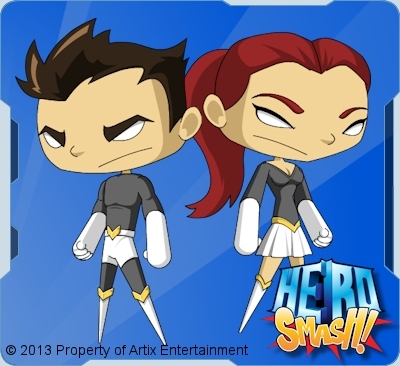 You show us HeroSmash is very much loved by our players. I more than ever pushing myself to making HS bigger and better! Finally Alina and Rolith... two wonder people that I come to know and respect over the years. Both have such big hearts and I wish the very best for them.